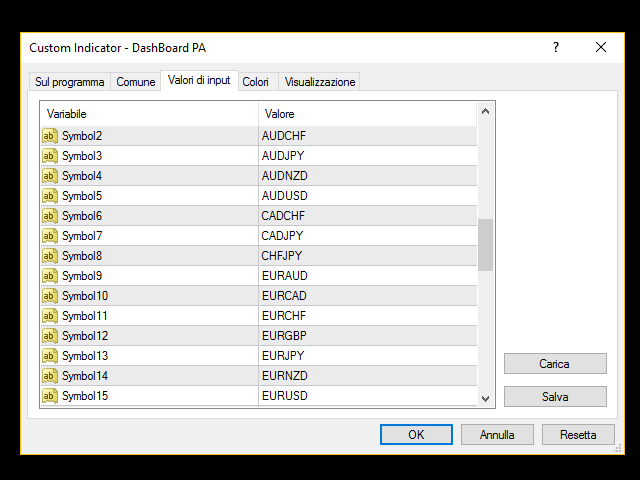 The Price Action Dashboard is an innovative tool to help the trader to control a large number of financial instruments. 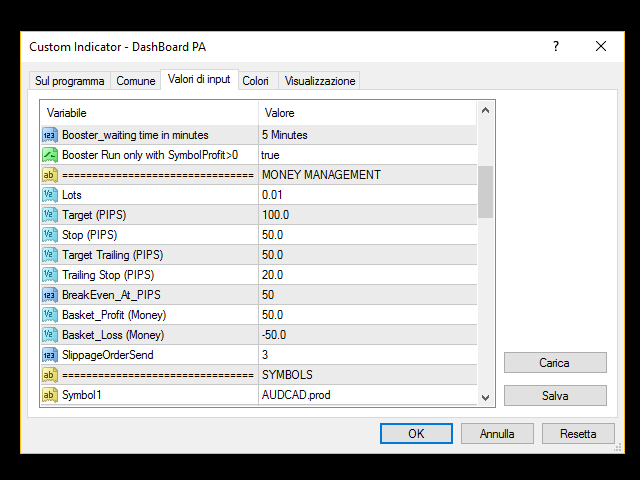 This tool is designed to automatically suggest signals and price conditions. 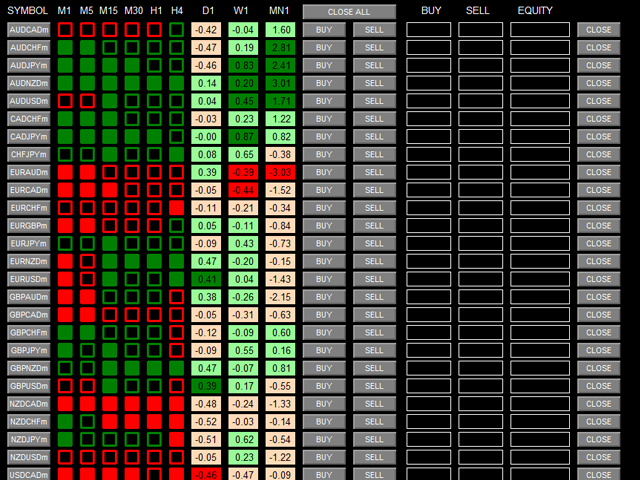 The Dashboard analyzes all major Time Frame suggesting price action conditions with graphic elements. 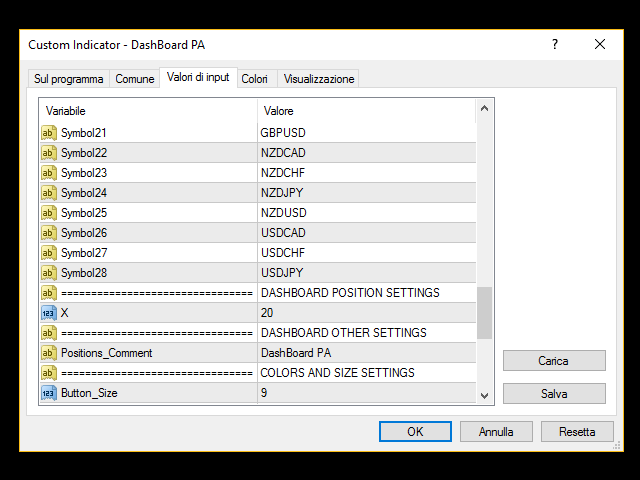 The Dashboard can suggest you the strength of the trend identifying directional movement, it is an indispensable tool for those who want to open position themselves using market trends identifiers. The analysis of the total market provides a great advantage to identify new trends emerging. 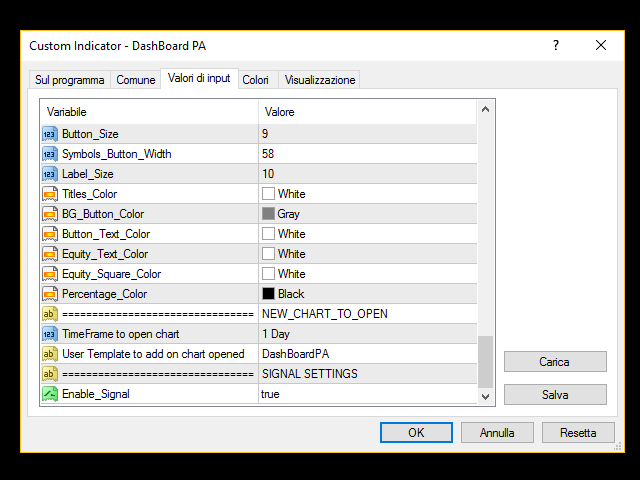 This Expert Advisor opens a world of new applications on MetaTrader and moves us increasingly to a Institutional concept of NO CHART TRADING. Perfetto! Lo sviluppatore mi ha aiutato nella configurazione e adesso funziona! È un'ottima utility e faccio i complimenti a Chantal orgoglio italiano. 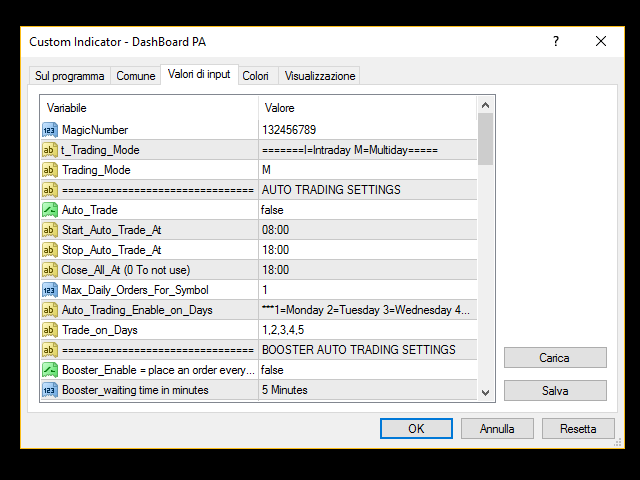 this its an excellent tool..now , i cant imagine my trading without it ...besides , the atention from Chantal if any question, its very fast...100% Recommended.. This is the price! Only price says the truth about its direction and this PA Dashboard intercept all big moves. This is a "must have" to be succesful in trading. Recommended! I migliori 250 % spesi nella mia vita , per chi lavora con la price action è un qualcosa di indispensabile. Defect on "Close_All_At (0 To not use)" in input. Defect corrected on Signal Intraday missing. Upgraded source code: no changes in input. DashBoard becomes an Expert Advisor.